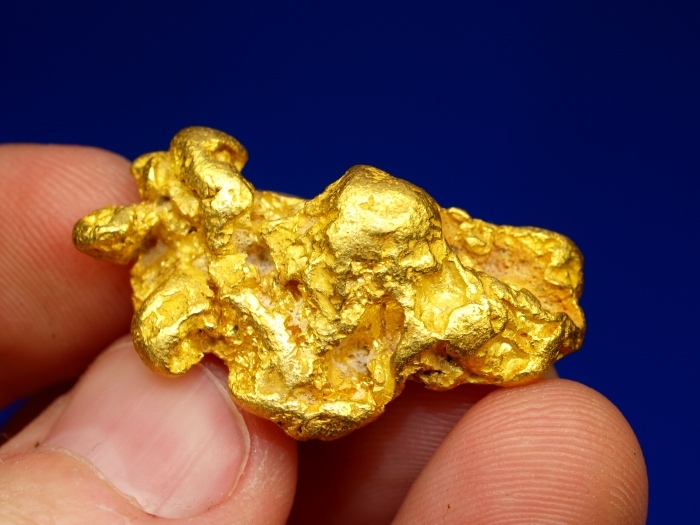 With the increasing gold price over the past few years, there has been an increased interest in gold mining and people looking into purchasing a mining claim. Just like anything else in life, it is important that you do your research before making any major purchase, especially considering that many mining claims sell for many thousands of dollars. Certainly there plenty of valid claims out there that are may be worth purchasing, but unfortunately the industry of mining claim sales is also infested with snake-oil salesman, selling claims that have almost no mineral value. Below are a few observations and questions that you should ask before considering the purchase of a mining claim. When was the claim filed? Most valuable mining claims have existed for many years, often many decades. If a claim was only filed a few months prior to sale, why would the original claim holder selling it so soon? Is there any sign of previous mining activity in the area? If there is no evidence of prior mining and a claim is only a few months old, I would be highly suspect about the mineral values available on the claim. What type of claim is it? 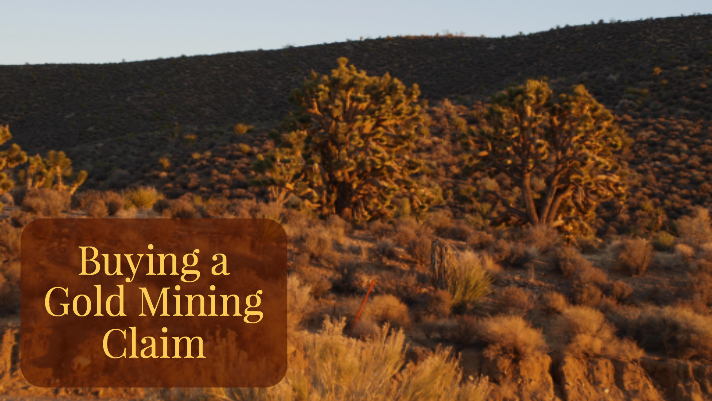 There are patented and unpatented mining claims, with the vast majority of claims being unpatented claims located on BLM and Forest Service land. This means that you are purchasing mineral rights to the land, and that is all. The land itself is still public and open to campers, hikers, shooters, and anyone who wants to recreate there. There is a common misconception that owning a mining claim gives you your own personal private piece of land all to yourself; this is NOT the case. You will own the rights to the mineral resources on the land, and that is all. Will the seller allow you to sample the claim prior to purchase? If not, I would avoid the purchase like the plague! Think about it, would you buy a used car without firing it up and taking it for a test drive? Of course you wouldn’t, so why would you buy a claim that you were not allowed to sample for a few days prior to opening your wallet? Anyone who is selling a valuable claim should welcome you to sample the property, which would prove its worth. Never buy a mining claim sight unseen. How is access to the claim? Be sure that the area is accessible enough to meet your needs. Will you need 4x4 trucks or ATV’s to access the area, or will a 2WD car get you there. Also be aware that private lands can often landlock and restrict access to some public lands. Be on the lookout for exaggerated advertising! This is prevalent in this industry. Pictures of old mining shacks, scenic mountain vistas, wildlife, and old relics don’t mean SQUAT when it comes to the mineral resources on the claim. What is ACTUALLY important is evidence of prior mining activity, historic production records and other evidence that shows that gold and other precious minerals actually exist on the claim. Don’t get distracted by the pretty pictures; you’re not buying the scenery. Understand that it generally costs less than $200 to file an unpatented mining claim. If the seller is asking thousands of dollars for their claim, the burden is on them to prove to you that there is enough gold there to justify the price tag. Remember that you don’t NEED to have a mining claim to have an area to prospect. Generally speaking, most public lands are open to prospecting if they have not already been claimed, and there is plenty of gold bearing ground out there that is still open to prospecting. With a bit of research you can find and file your own claim without purchasing one. Joining a local prospecting clubs is another option that will often grant you access to private claims. This is highly recommended for a beginning prospector, and is often a much better option than purchasing your own claim. The main thing to remember is to treat the purchase of a mining claim just as you would with any other major purchase. Do your research and be confident that you are purchasing a claim that has REAL value. There are certainly valid mining claims for sale that would make a fine investment, but understand that a large percentage of claim sales today are being done purely to dupe uneducated buyers out of thousands of dollars for something worth essentially nothing. Don’t be one of them.